The people of Shingkhar in Ura Gewog of Bumthang are sceptical of the political parties’ pledge on the construction of Shingkhar-Gorgan highway. The 58-kilometre Shingkhar-Gorgan highway construction project is yet to receive environment clearance from the National Environment Commission (NEC). The environmentalists worry the highway will have an adverse impact on rare and endangered species of plants and animals and fresh watershed in the Phrumsengla National Park area. At the common forum in Shingkhar Chiwog, representatives of BKP, DNT, and PDP promised either to construct the highway or prioritize the project if they get elected. DPT’s representative said he would deliver his constituency based pledges only if his party makes it to the General Round. People of the village and some other neighbouring villages said they have contributed labour on several occasions during the survey activities. And for them, the party representatives pledging to finally build the road once again is seen as a promise too good to be true. “In the past two National Assembly elections too, parties have made the similar pledge but have failed. But now we are doubtful. We have worked with Department of Roads officials in clearing the bushes and also installing survey boundary pegs for about five times,” Tashila, one of the villagers, said. “People here now feel that the political parties and representatives are buying votes by promising to construct the highway. We don’t have any hope of our village getting connected with a new highway,” Ugyen Tenzin, another villager from Shingkhar, said. Shingkhar people now want the existing eight-kilometre farm road that connects their village to rest of Ura Gewog improved and maintained. 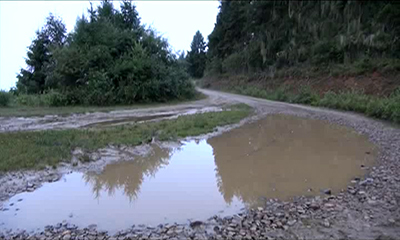 The farm road was constructed more than 15 years ago for logging purpose. However, as it is a part of the anticipated Shingkhar-Gorgan highway, the villagers said it never received any budget for maintenance. “The talk about the highway construction is becoming redundant now. It would be nice if the highway is built. But right now the on-off activities surrounding the highway construction is hampering us. If the highway construction project is completely cancelled, we would at least get some budget for maintenance of the old farm road,” Sangay Bidha, the village Tshogpa of Shingkhar, said. “The existing farm road doesn’t have a proper drainage system and there is also a need for maintenance,” Ugyen Tenzin said. The highway from Shingkhar in Bumthang to Gorgan in Lhuentse will reduce the travel distance between the two dzongkhags by over 100 kilometres. 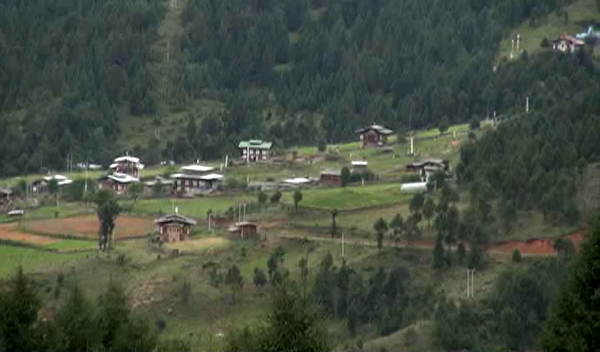 The current distance between Lhuentse to Ura in Bumthang is about 207 kilometres.